Key skills: decision analysis, structured decision making, technical facilitation, workshop design, data synthesis and analysis, climate change, salmon. 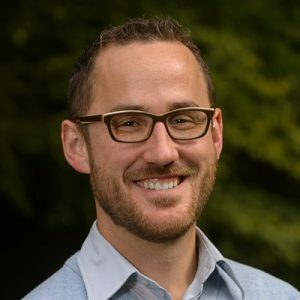 Alex’s work focuses on bringing together systems thinking, an adaptive management mindset and technical facilitation to help groups work through complex problems associated with managing environmental resources. Alex has skills in science synthesis, weight of evidence approaches, and systems analysis to understand how human activities influence natural systems, alongside strong skills in facilitation and stakeholder engagement. This experience spans a breadth of freshwater and terrestrial ecosystems with a focus in western North America, and his recent work includes modeling potential changes in freshwater chemistry from increased cumulative impacts of industrial emissions in northwestern British Columbia; assisting in the redesign of monitoring strategies for evaluating wildlife impacts and reclamation in the oil sands of northern Alberta; supporting a Science Panel process to review management options for Oregon’s State Forests; and designing and coordinating a multi-stakeholder, process to inform development of a strategic integrated plan for Chinook salmon in southern British Columbia. He has led and assisted in the development, facilitation and technical reporting in support of a variety of technical workshops, especially those with expert science panels for organizations such as Fisheries and Oceans Canada, the Fraser River Aboriginal Fisheries Secretariat, the Pacific Salmon Commission, NOAA Fisheries, the Arctic-Yukon-Kuskokwim Sustainable Salmon Initiative, the Columbia Basin Fish & Wildlife Foundation, the Columbia River Inter-Tribal Fisheries Commission, and the Cohen Commission. Alex has been a contributing author on many scientific manuscripts, technical reports, literature syntheses, and training materials on issues pertaining to freshwater acidification, oil sands reclamation, monitoring program design, species at risk, invasive species management, adaptive management, and state-and-transition modeling. Alex holds a B.Sc. in Physical Geography with a Certificate in Spatial Information Systems and an M.Sc. in Resource and Environmental Management, all from Simon Fraser University. His thesis work used the Carbon Budget Model of the Canadian Forest Sector (CBM-CFS3) to examine the medium-term greenhouse gas implications of burning post-harvest forest debris on Vancouver Island. Prior to graduate school, Alex had worked as a research assistant with Environment Canada (Meteorological Service, Vancouver), the Centre for Research on Inner City Health (Toronto), and the Geospatial Data Research Laboratory (SFU), applying data synthesis and analysis, GIS, literature review, and scientific writing skills to a diversity of research topics. During that time Alex published peer-reviewed analytical research in the fields of both climate change and population health. Outside of work, Alex enjoys cycling in all its forms, from casual riding to century rides to touring, camping, downhill skiing, and playing lots of volleyball both on a court and on the beach.